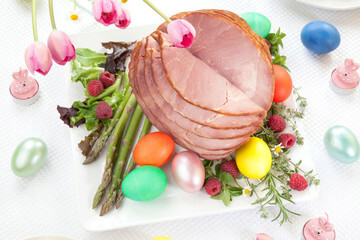 Last day for EASTER recipes! Parm. cheese, garlic powder & pepper. Add ricotta & mozz. cheese; mix well. thoroughly combined – pour into pan. 1 inch slits in top (to vent). top of crust with egg wash.
minced garlic salt/pepper – mix well. recipe in half, if you prefer less. mix & season with salt/pepper. 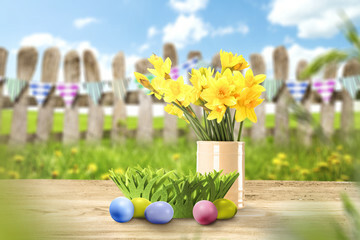 Hoping all your Easter plans are coming together nicely! and a few last minute recipes . 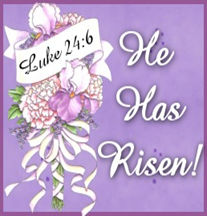 . .
Not much new to add – evening Good Friday church service (choir singing) then practice 7:45 – 9 p.m. Since paring down the Easter dinner, I only have a few things to prepare; am going to make the Oreo No-Bake dessert tomorrow, just to save a little time Sunday. into yogurt – spread evenly over cake cubes. 4 large lemons); whisk until thoroughly combined. chilled (should be almost pudding consistency). inches of water & bring to boil. jalapenos – season with salt/pepper. baking sheet, seam sides down. golden & asparagus is tender. light & fluffy – season with salt/pepper. & bake 10 minutes until bubbly. warm with bread for dipping. dressing mixture & mix lightly. Butter a 7 inch spring form pan. speed until light & fluffy – beat in egg. into center of cake comes out clean. pan & let cake cool completely. 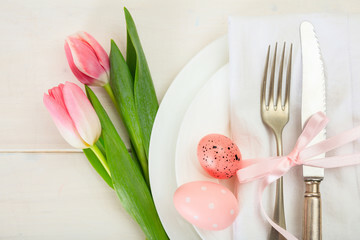 I’m sure you’re probably getting the final items needed to prepare your Easter dinner so I thought I’d throw in a few more ‘side’ dishes, just in case you might need a new idea. mini loaf pans. Using elec. at medium speed until creamy. 1/2 C. batter into each loaf pan. & spread to edges. Sprinkle 3 T.
nuts over sauce in each pan. cakes. Makes 4 mini cakes. at least 1 hour or until ready to serve. at least 1 hour before serving. thinly sliced (about 3 lb. at least 2 hours (or overnight). crumbs, sugar & butter – mix well. 2-3 minutes until thickened & fluffy. fresh fruit. Drizzle glaze on top & serve. one (color A) and one (color B) rectangle. of like a candy cane), starting at a long side. 1 week. Makes about 3 dozen. recipes for using the ham leftovers. afterwards, so it’s all good. are coming together just as you planned. Getting ready for Easter dinner! 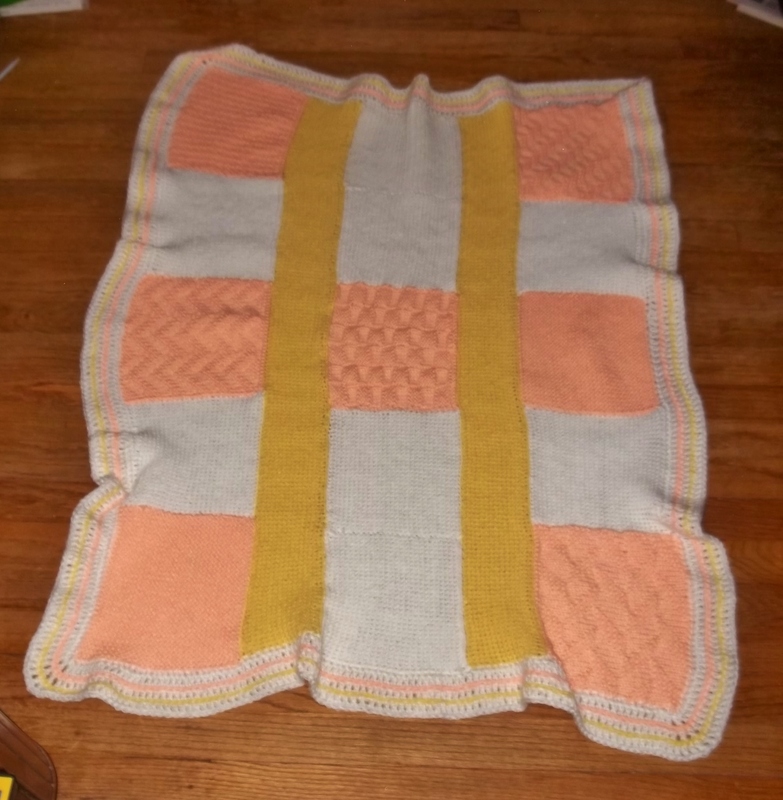 Finally finished the ‘donated peach colored’ squares afghan – took it to library knit group & they liked it. I didn’t have a lot of room to spread it out so it’s kind of ‘bunchy’ but it will work just fine for a baby. cheese & 1 C. sugar until smooth. & chill at least 4 hours until firm. In large clear bowl place lettuce. Cover with layers of next 7 ingredients. & cayenne – mix in mayo & sour cream. cooking spray; place ham in pan. cucumber, garlic, salt, oil & dill. Add yogurt & stir to combine. in freezer while making rest of filling. while making rest of filling. smooth. Add sugar & mix until blended. Add peanut butter & vanilla – mix well. prepared crust & place back in freezer. in freezer 30 minutes before serving. after final preparation, store in freezer. are up a little: $2.59/9 (but still, not bad). AND is also our Sunday School teacher!). afterwards, so it’s a Win-Win situation. 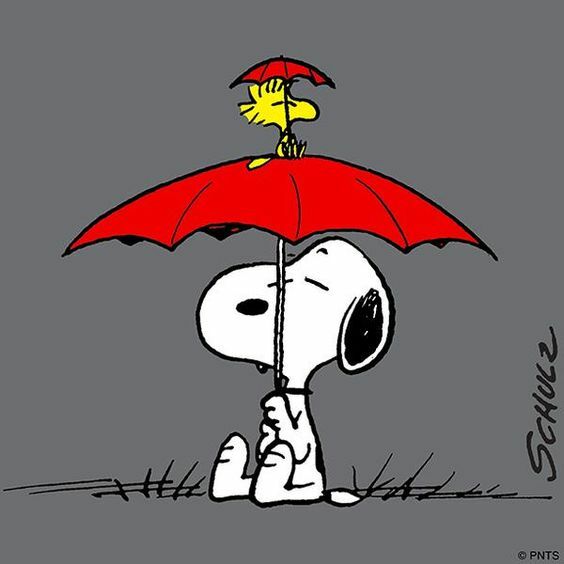 Well, it’s raining and supposed to continue for most of this week – Hey! It beats SNOW! My cousin in Iowa ended up with 9 inches of the white stuff this past weekend – SO glad we skirted that one! heat to Low & simmer 20 minutes. Brown sausage in skillet; drain. ingredients in a casserole dish. a rack in a large shallow roasting pan. with foil if turkey browns too quickly). ingredients; stir in remaining oil. with slotted spoon & place in crockpot. crockpot & place on serving platter. rim from pan. Cool on a wire rack. tacos – they were tasty! to just come home & go to work (as a waitress)! I’m thinking that probably won’t be the case. 12 oz. cream cheese, room temp. Leftovers refrigerated up to 4 days. mixture into egg white halves. diamond shapes 1/2 inch deep. Cover with foil & bake 2 hours. sauce & serve with ham. add water to cover – bring to boil. cause the dish to crack). minutes more until heated through. 15-20 minutes until carrots are tender. lemon zest & juice – stir to combine. onion – repeat layers, ending with onion. until it resembles fine crumbs. surface & place dough on surface. 10-12 minutes until golden brown. Serve warm. Makes 12 breadsticks. In large zip-lock bag crush Oreos. mixture on top of cookie layer. top with reserved cookie crumbs. 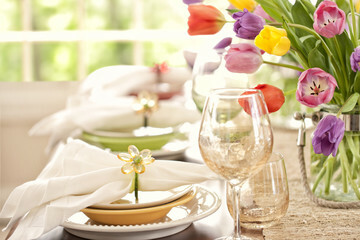 time for Easter dinner – it ‘might’ be 5/6 p.m.
early church – I have to be there by 9:10 a.m.
relax a bit, then get cooking – we’ll see. I’ve sort of ‘taken over’ as my computer room. I know we’ll adjust; trying not to stress over it. Hope you are having a nice, relaxing day! 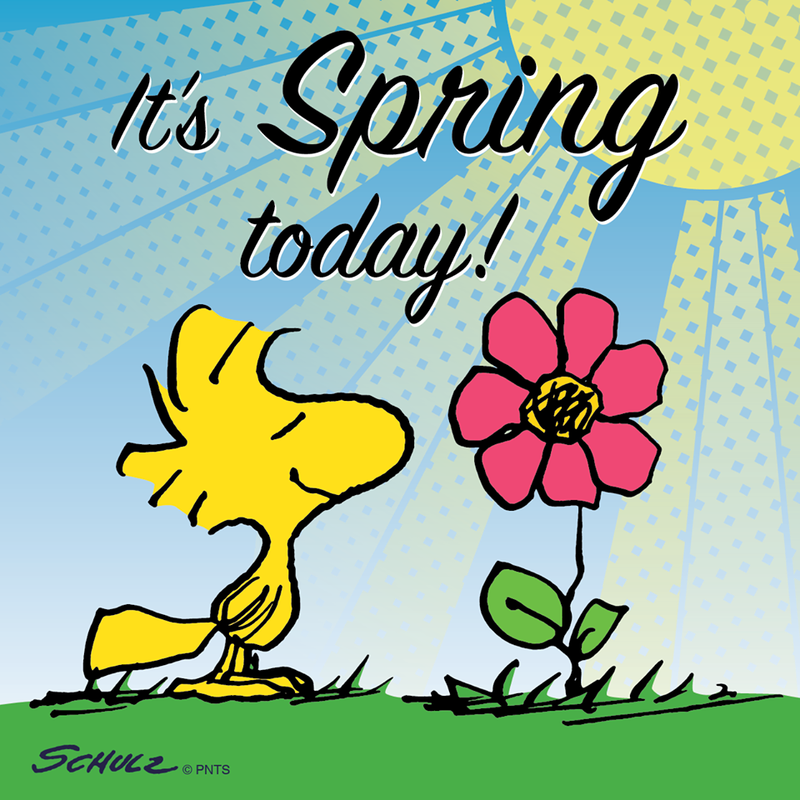 Yes, I’m a Day Late – but it’s still SPRING! chocolate in large heat-proof bowl. starts to simmer, about 6 minutes. dissolved – pour mixture over roast/veggies. When roast has cooked through (inner temp. carrots are coated in the glaze. Sprinkle with parsley & serve. potatoes & season with salt/pepper. 4-5 minutes longer until golden brown. tender – season with salt/pepper. cream & heat through (do not boil). no Easter candy/dinner preparations, nada. a border (I’ll post a photo when it’s done). It’s a lovely, sunny & cold (21 degrees F) day – just got home from the last Flag football game for older grandson – now it’s on to baseball very soon (oh joy…). It’s nice to be able to attend the games and also get to see the other half of the family (grandson’s Mom’s family) – I’m not really ‘into’ football, but I do enjoy saying HI to everyone. 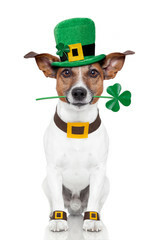 Yes, it’s the GREEN holiday – No, I’m not one for getting into it in any way but thought the above clipart was cute. In a soup pot heat oil over medium heat. & garnish with sour cream/chopped dill. Spray muffin tin with baking spray. in raisins. Spoon batter into prepared tins. container or zip lock bag at room temp. 1 more minute. Remove from heat. Add pasta to boiling water & cook accordg. 1 T. olive oil, onion/garlic mixture, Parm. lemon zest & 1/2 C. reserved pasta water. transfer to a bowl & return skillet to heat. cook 10 minutes, stirring occasionally. foil & serve while hot. I’ll be making this one again! near center of cake comes out clean. onto a wire rack to cool completely. Looking at our local weather site, it looks like we’re going to have clear, sunny weather up to TUESDAY! 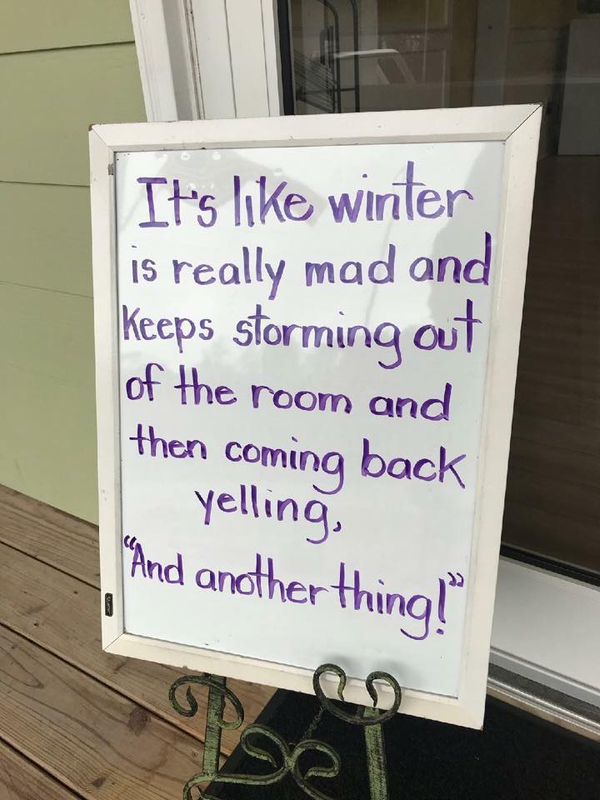 NO SNOW (that we know of) – it’s been jumping from the low 20’s in the morning up to the 40’s by 4 p.m. – goofy, but typical MICHIGAN – sigh. (I remember when I was a young girl we got a huge dump of snow on Easter!). biscuit in half by gently pulling apart. cheese, egg & gran. sugar until smooth. sprinkle evenly with nut mixture. carrots & bay leaf – season with salt/pepper. soup to a blender & puree until very smooth. sides (along with juice) & put some on top. 3 1/2 – 4 hours. heat – warm oil until almost smoking. browned on first side: 2-4 minutes. seconds. Whisk in lemon juice & parsley. place in 4 quart or larger crockpot. top. Cover & cook on High 2 hours. beat in egg, sour cream & vanilla. add to creamed mixture – stir in chips. apart onto prepared baking sheets. which company/brand/type/weight, etc. yarn you have). a real book but this was an interesting adventure. kept knitting & listening, knitting & listening! 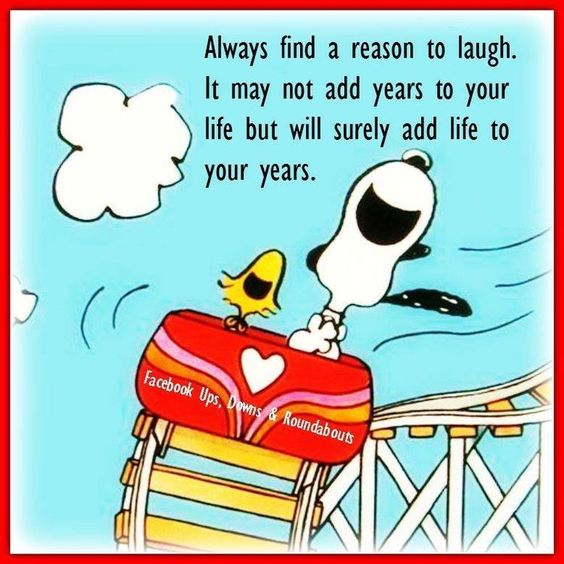 Oh well – live & learn, right?